Border Leicester Curly Locks - Dark Gray almost Black Coloring Washed Border Leicester Curly Locks from Raven. Super soft fiber and there is very little vm. Staple length is 3 + inches prior to brushing. Locks are very tight. Color is dark gray almost black... this is a gorgeous and super soft fleece. The picture of the length is more accurate of the coloring. This is a very dark fleece. 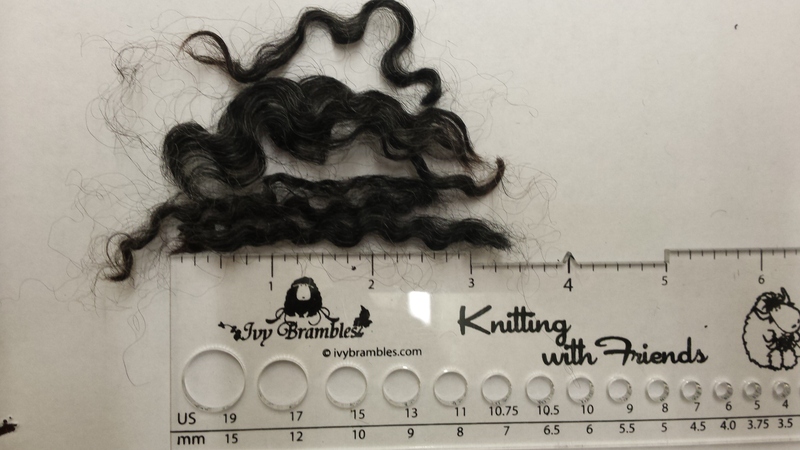 This fleece is available in 8 oz weights. Have a wonderful day! 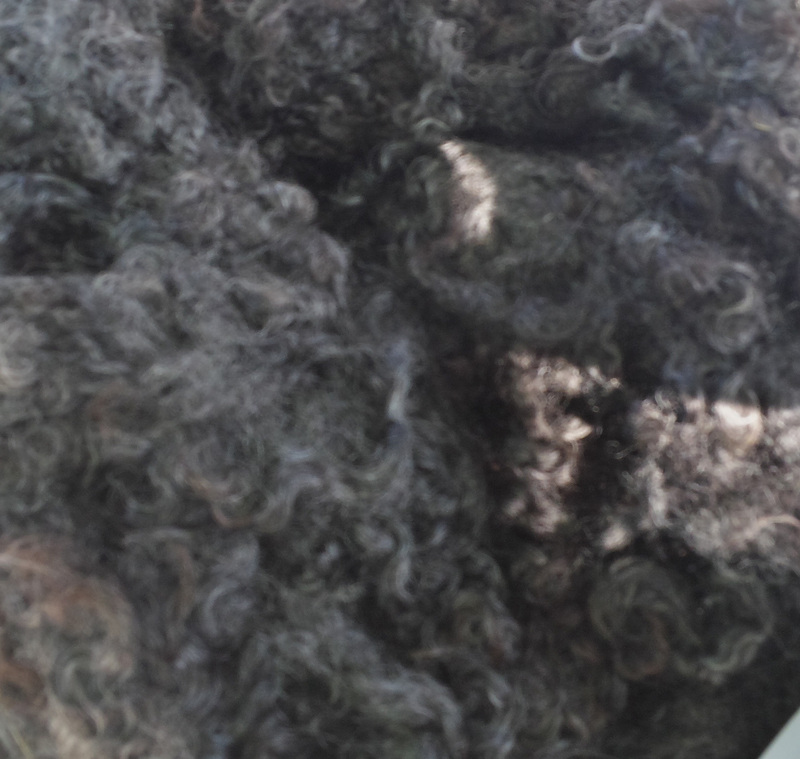 All of our washed fleeces are from a New England farm. Support your local farms today!